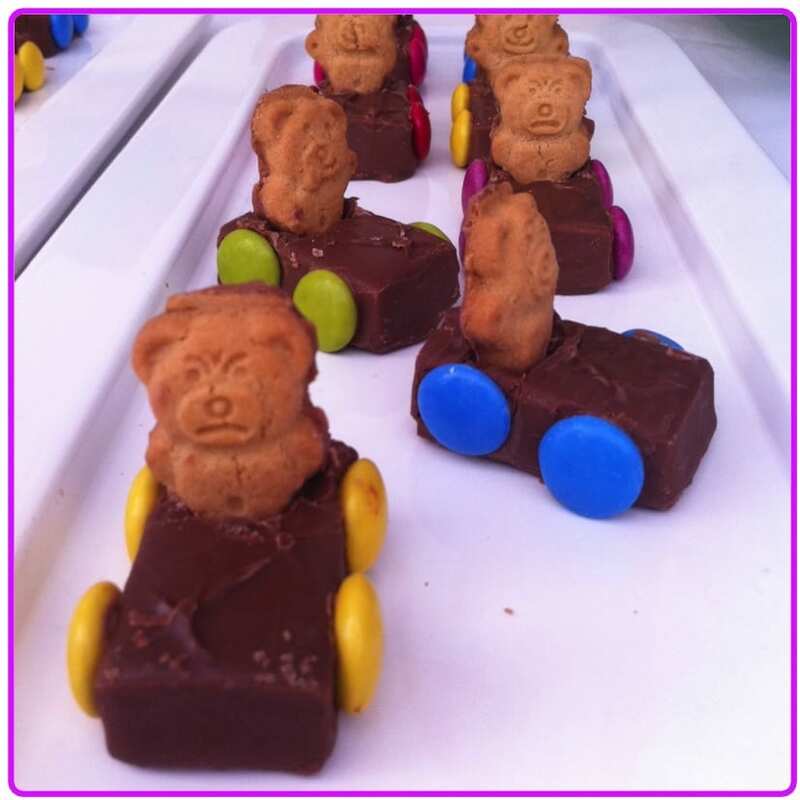 Home | Blog | Kids Party Food; a super easy, no cook treat. Kids Party Food; a super easy, no cook treat. Preparing for a birthday party for your child can be a little daunting; it seems so simple but suddenly spirals out of control when you decide that you’ll have everything homemade, hand baked, hand decorated and completely colour co-ordinated. Suddenly what was going to be a simple little gathering for a few friends become all consuming and you find yourself running around for days beforehand – feeling decidedly like the bride before the wedding (although with no bridesmaids on hand to help)! Between my children, my God-Children, my nephews and the children of my friends, I’ve planned and executed just a few parties (!!) The good news about all this is that while I could have learnt how to get the icing ‘just so’ by adding just a touch of a mystery ingredient that is only available from halfway across town, I haven’t. What I have learnt though is some beautifully effective shortcuts. It’s all about the WOW for kids. They really couldn’t care less whether Mum, Nanny or the ‘man at Woolies’ made the cakes and cookies – they’re just there to hold the smarties and the icing! And the fruit platter? Yeah right Mum. I’ll take the little melon balls on a stick (’cause I know you’ll feel like a good mum by feeding me fruit) but don’t be surprised when you find them in the herb garden next weekend. What kids want isn’t actually that much at all. A Cheezel for each finger, a necklace of fresh blueberries (or grapes) and Ripe Raspberries and some Tiny Teddies in Cars! I can’t claim any credit for the Tiny Teddies in Cars. We went to the 1st birthday of a beautiful little friend today and my children were so enchanted with them, I had to take a pic and share. Even my 10 year old gave me a run down on exactly how we could replicate them this week at home. If you don’t have any icing or chocolate spread handy, you could actually use a tealight, lighter or candle flame to very slightly melt a spot of chocolate (very slightly) in the spot where each Smartie should go and then stick the Smartie straight on. It’s really up to you – either method will work fine. The sky’s the limit with these cute little cars. You could use strip liquorice to create roads for the cars, you could colour coconut green to make grass, you could nab some road signs from your child’s train set or you could use lollipops standing up in half marshmallows as street signs. I thought these were gorgeous – although I was a little worried at the Teddy at the front of the pic – he was looking like a road rage candidate at the time I took the photo! What are some super easy, no cook party treats you like to use for your children’s parties? Got any photos you can share to inspire other mums for their next party? This is a super cool idea. I’m on it! A fantastic recipe idea that the little ones will just love! thanks for the stress saving tips here. Thanks again for sharing; had a lot of fun making these! Stop it! these are so cute! Thanks for sharing these cute little cars; they made me smile! Will be making for sure! made these recently for a race car theme party and they went so fast! Bookmarked these for my sons first birthday :). Look super easy and the kids will live them. Cute. 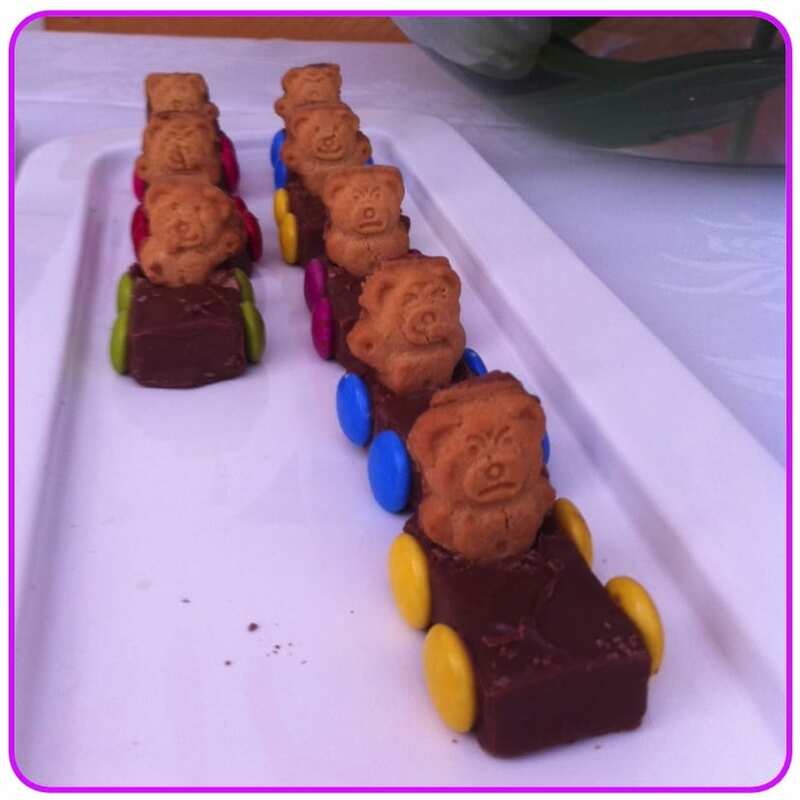 I have made these on many occasions for kinder teddy bears picnics and birthday parties. I made these for a 4yo’s birthday party, kids absolutely loved them.